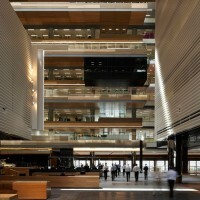 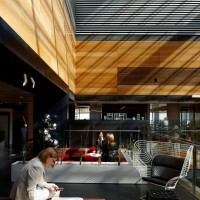 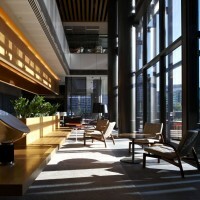 Australian architecture and interior design firm HASSELL have completed the ANZ Centre in Melbourne, Australia. 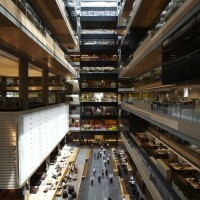 ANZ Centre is one of the most open and permeable banking headquarters in the world. 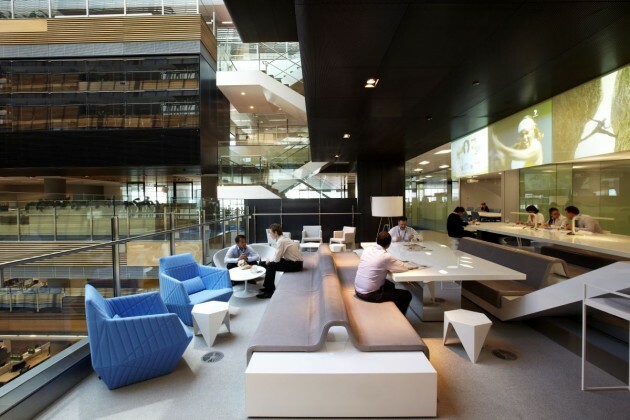 Rarely – if ever before – has a bank invited the public into the heart of its workplace. 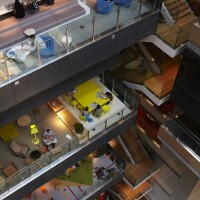 This ‘urban campus’ is the next generation in design for collaboration and flexibility with most floor space dedicated to shared, interactive activity to enable the incidental connections that are so critical to today’s knowledge economy. 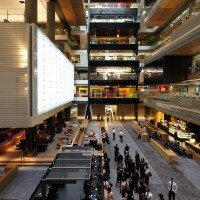 Incorporating a raft of first-time green initiatives, the building is also a global environmental and sustainability benchmark. 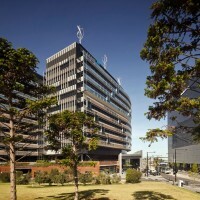 ANZ Centre houses 6,500 people – as many as a small town. 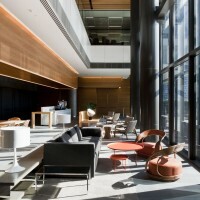 Despite its large scale, ANZ Centre provides an opportunity to make small-scale engagements with its local community and operates as a permeable extension of the existing urban precinct. 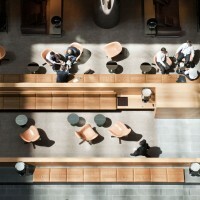 Its ‘urban campus’ design centres around a publicly accessible ground floor ‘common’. 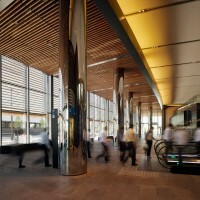 The inclusion of this permeable public space within the workplace brings stakeholders and the community into the organisation’s heart, creating a lively ground-level hub including cafes, public art and a visitor centre. 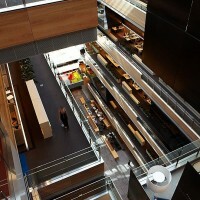 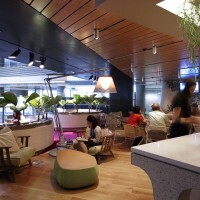 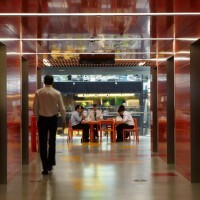 Locating the work floors around the central atria maintains a high level of visual connection between the public ‘common’ and the workplace – reinforcing the day-to-day connection between the ANZ population and the community it serves. 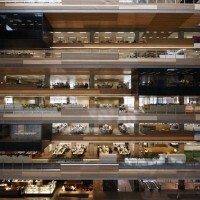 This demonstrates a bold new direction for a banking institution seeking to balance the need for security and transparency. 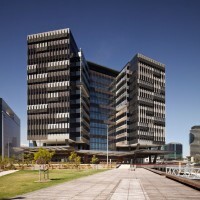 ANZ Centre has been awarded a 6 Star Green Star sustainability rating from the Green Building Council of Australia. 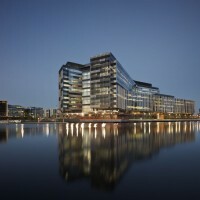 On-site energy production is provided through three key technologies: a tri-generation system; a rooftop photovoltaic array; and six vertical axis wind turbines. 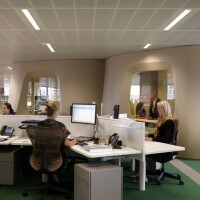 A comprehensive water management and recycling system is among other key green initiatives.